The Defense Advanced Research Projects Agency (DARPA) has certainly had its hand in turning the gizmos and gadgets we used to dream of into a reality. The agency is still hard at work blazing the trail for future tech, issuing challenges for the creation of the most advanced things on this Earth. It has now taken on a new challenge, this time in the field of construction. 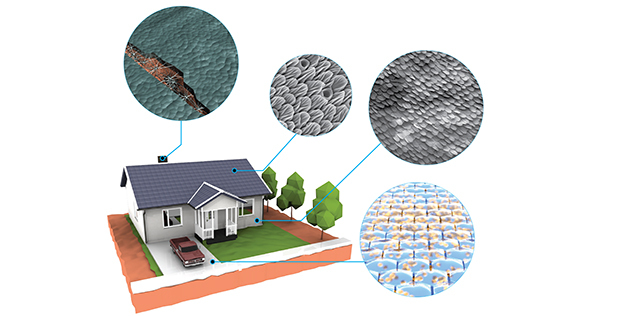 DARPA has just announced the Engineering Living Materials program, in which they aim to develop building materials that grow on site, repair themselves, and even adapt to the environment. Current building materials are difficult to produce, transport, and assemble, and they eventually wear out or break down. DARPA’s big idea is to replace those current building materials with new materials that can grow into predetermined shapes, repair themselves if damaged, and even adapt or alter themselves to the environment. Its new mission to create them is called the Engineering Living Materials program. The idea may seem like science fiction, but self-repairing materials have been developed before. Scientists have recently 3D-printed living tissue, so using that technology to produce organic construction materials may not be that far off. The long-term objective of the ELM program is to develop an ability to engineer structural properties directly into the genomes of biological systems, so that neither scaffolds nor external development cues are needed for an organism to realize the desired shape and properties. Achieving this goal will require significant breakthroughs in scientists’ understanding of developmental pathways and how those pathways direct the three-dimensional development of multicellular systems. Perhaps the most promising goal of the program is to develop materials that adjust and adapt to their surroundings. For instance, DARPA proposes roof tiles that can passively control airflow, keeping your house cool in the summer and warm in the winter, all without you adjusting the thermostat. This is all highly speculative, of course, and any advances in this area are not likely to hit the market for many years. But given DARPA’s reputation for turning science fiction into science fact, it may only be a matter of time before self-healing houses put the repairman out of business.